This error is thrown by the BizTalk HL7 assembler pipeline BTAHL72XSendPipeline. 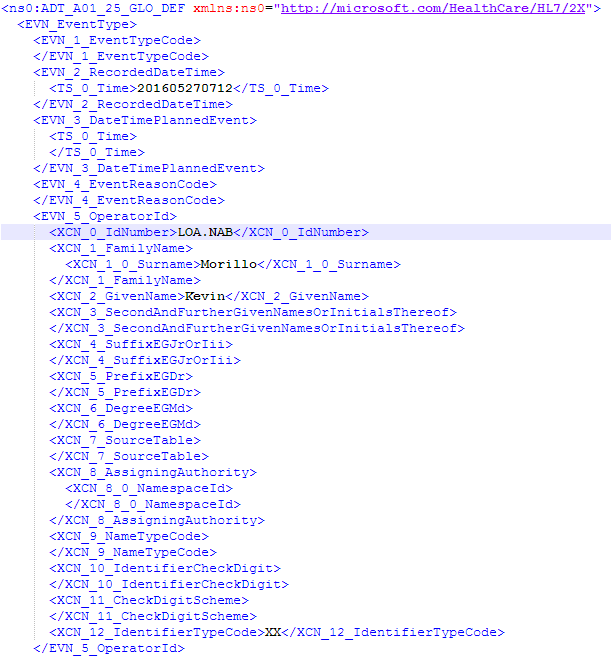 The pipeline is stating that it was unable to recognize the first few characters of the HL7 XML message sent to the pipeline. This is caused by the existence of the XML declaration at the top of the message produced in a BizTalk transform shape, assignment shape, or in a helper class. In my case, when creating an HL7 message in a helper class I used an XmlWriter to aid in executing a map through c# instead of orchestration transform shape. The resolution was to add an XmlWriterSettings object with the ‘OmitXmlDeclaration’ setting set to true. However, there are many other ways to remove the XML declaration. One common error is the existing of many line breaks when trying to assemble a message using the BTAHL7 2X Send Pipeline. 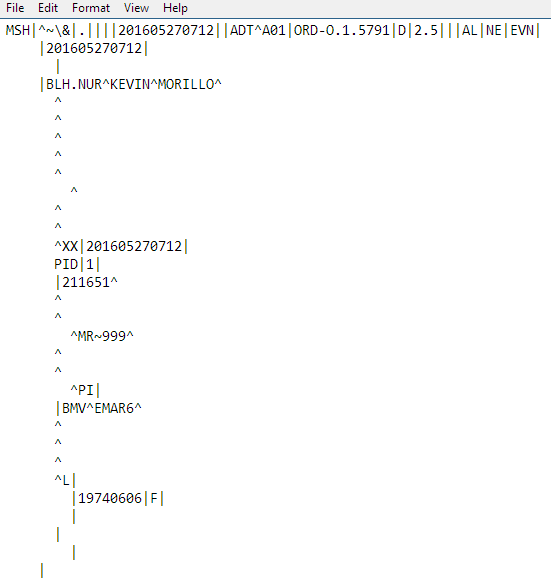 This is caused by the empty XML elements within the source XML document sent to the send port pipeline. As you can see, using BizTalk’s out of the box functionality with the Microsoft EDI Accelerator for BizTalk may present some small issues, though they can be easily resolved. Learn how T-Connect EDI technology can improve 5010 processing performance in Microsoft BizTalk Server 2016 for your organization. I spent today researching in depth the issue causing the problem behind #2 with extra line breaks being injected into the HL7 message when there are empty nodes in the mapped document. What I found is that this is not actually the cause and in fact the HL7Assembler in BizTalk does not inject these values into the content. If you set a pipeline component before the HL7Assembler and attach to it’s process or simply attach to the HL7Assembler and debug it’s code in Visual Studio you’d see that the data being received by the assembler and or first component contains a newline in the field. In my case the problem was caused by the xml content getting formatted for readability by a BizTalk orchestration. This occurred when creating an xml document in C# code and assigning it to an XmlDocument message in the orchestration as follows. After troubleshooting I found that if assigned in the following manner the BizTalk orchestration does not format the xml document for readability and therefore no newlines are injected into the content.